The cross did not represent the fullness of my parent's faith, and neither did the Star of David. Back to that same old place of not fitting into either camp. My mom always had everything figured out, everything planned in advance. Everything except her death. 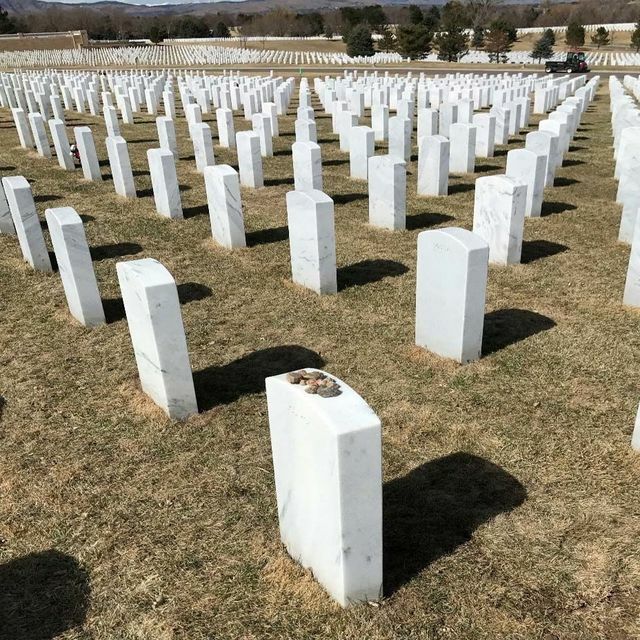 When my mom passed away in June of 2012, she was scheduled to be buried in Ft. Logan National Cemetery in Denver, Colorado. 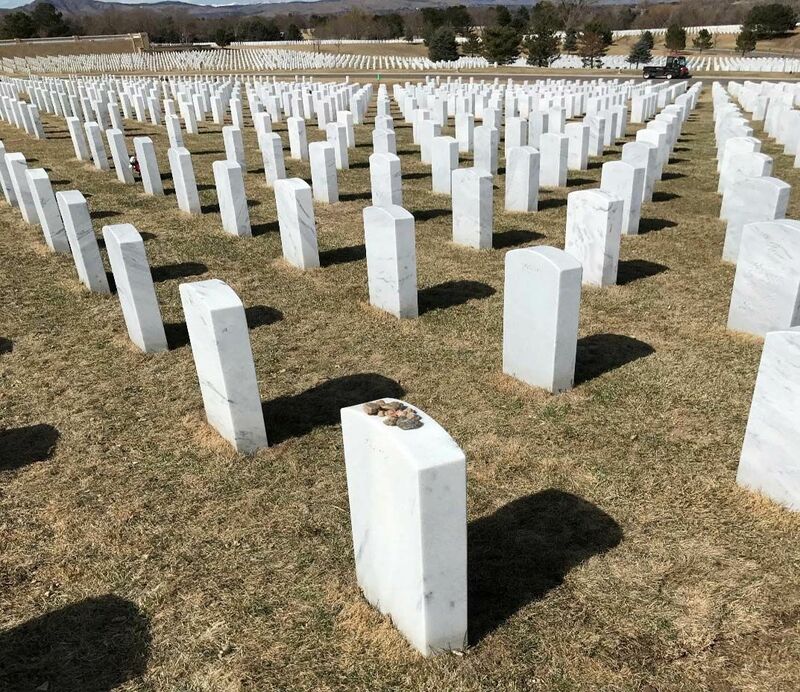 My father was an Air Force vet, and one of the benefits for all US military veterans is burial in a military cemetery for them and their spouse. Once my mom was deemed terminal by the doctors she worked fervently to ensure these benefits were in place and had all the paperwork in order. There is where my mom’s planning ended. As I worked with the funeral home, it came time to choose the text and religious symbol for the headstone. The text was easy. The religious symbol, not so much. It basically came down to a cross or a Star of David. My parents, as I am, were Messianic Gentiles. Their association was with Messianic Judaism. There was no symbol that represented this. The cross did not represent the fullness of their faith, and neither did the Star of David. Back to that same old place of not fitting into either camp. I asked if both symbols could be placed on her headstone. The answer was no. After conferring with my wife, we decided that on my mom’s side of the headstone (they would share the same headstone) we would put a Star of David and on my dad’s side a cross. I submitted the paperwork. For some reason there was a mix-up, and a cross was put on my mom’s side. I was in a real pickle. Knowing my parents, I knew that my mom would have been comfortable with a Star of David but not my dad. Would I just end up putting a cross on his side too? My father eventually passed away in October of 2016 during Sukkot, but for various reasons, we were not able to bring his remains to Fort Logan until just a few weeks ago. We arrived at 10:30 on Wednesday morning. My father was given military honors, which I know would have touched him deeply. In the last years of his life, his service in the Air Force was the thing he spoke about the most. I know those were some of the most precious days of his entire life. After the service we headed over to the gravesite to pay respects to my mom and recite some Psalms and the Mourner’s Kaddish. To my surprise, they were already getting ready to bury my father. It was so meaningful to be there during this process, and everyone in my family was able to add a little dirt to his grave. Later, when I shared my story with my colleagues at FFOZ, they reminded me that the Star of David is the symbol that Messianic luminary and pioneer Abram Poljak fought for to represent Messianic Judaism. He wrote a book entitled The Cross in the Star of David, and this symbol is on his tombstone as well. 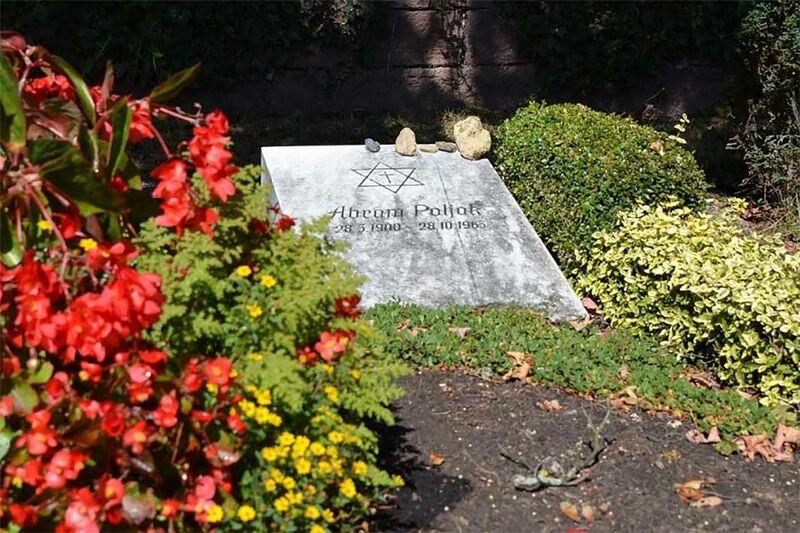 The grave of Messianic Luminary, Abram Poljak, with the Star of David-Cross symbol. What a miracle for us to “by chance” come into contact with this attendant and learn about the symbol’s existence. God is good! I am sure both my parents would be so happy, and it also brings me joy that we are honoring the tradition of one of the great luminaries of our faith. May their memory serve as a blessing.